We are in love with this beautiful barn door setting. It is a natural scene that would look so lovely in wedding photography, bridal shower photography, family photography, group photos, pet photos and even still subject photography. This will definitely be a classic photography backdrop that you will use for many photo sessions. Not only that, but this weathered, old, rustic, barn door photo backdrop is made up of high quality ink and material, which means that it will stand the test of time. 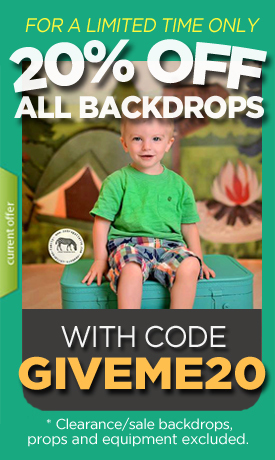 You can purchase this barn door backdrop for photos in canvas, vinyl or poly paper. All three options are great in all lighting situations, they are tear resistant, great for travel and are also water resistant. With all of those great traits, how could you not want to add it to your studio prop collection? Be sure to check out this large size photography backdrop when you want to create the perfect barn scene.